A solid financial plan not only accounts for the future - but it will consider your current lifestyle and ensures that you are well cared for as you reach your wealth goals. 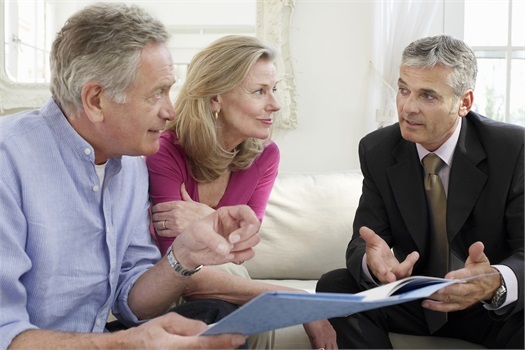 High Point Capital Group will help create a plan for your individual needs. Our disciplined process removes non-revenue producing activities from our advisors, enabling them to focus first and foremost on you and your holistic financial service needs. Discovery: During our initial meeting, we will get to know who you are and what you hope to accomplish with your personal finances. It is just as important that you get to know us, as it is for us to know you. Our advisors will answer your questions, address your concerns and educate you on how our client-centric process works. Creative Solutions: Once we have a better understanding of your current financial life and future goals, our team will come together to brainstorm a list of personalized, creative solutions. Ensuring that your objectives are accounted for, we will present you with a series of options available in areas of financial planning and wealth management. Strategy Development: As we hone in on the solutions that will work best for your situation, our team will draft a strategy based on previous conversations. Your personalized plan will address your goals, define your risk tolerance, and proactively work for you on your journey to grow and secure your wealth. Results Management: Our team will continuously monitor your plan, and adjust when necessary. Shifts in the markets, changes to your personal situation, and important life events will all be considered against your current plan. We provide regular consultations to re-evaluate your plan and adjust, all while preserving your core vision and long-term objectives. Everything we do at High Point Capital Group is done with your financial well-being in mind. Our team-based, client-centric approach to wealth management means that you will have easy and ongoing access to your High Point Capital Group advisors. Your long-term financial confidence is non-negotiable. That is why unparalleled personal service in real time is our agency’s baseline.